AAII is committed to improving access to health care throughout West Africa. Recognizing that lack of access to medical services is a major cause of death among residents of rural communities, AAII’s Founder and Chairman initiated activities to generate the human and financial resources needed to make access to comprehensive health care a reality for approximately 100,000 people living in some of the most rural areas of Senegal. In the late 1980’s, with the support of dedicated volunteer nurses and physicians from America, AAII began to address the needs of a severely medically underserved population by conducting ad-hoc, primary care “clinics” three times a year for approximately eight years. As demand for health services multiplied, AAII sought funding to build a permanent facility that could offer year-round primary and reproductive health care and where residents of rural communities could be trained as Community Health Workers. 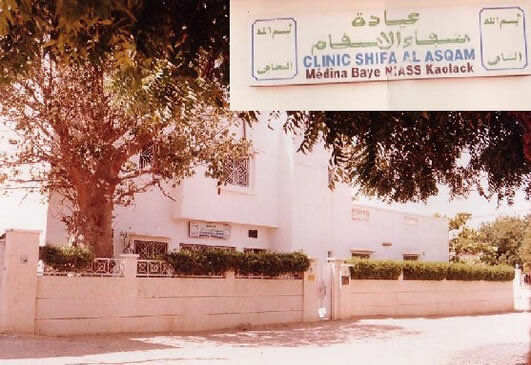 In 1997, in partnership with the United Nations Population Fund-Senegal (UNFPA), AAII established the Shifa-al-Asqam (Healers of the Sick) Socio Medical Center in Medina, Kaolack. Shifa-al-Asqam’s mission is to provide compassionate, comprehensive patient care to meet the medical and social needs of the people of Medina-Kaolack and the surrounding rural communities. The Socio Medical Center is a focal point for health related, disease prevention and treatment, social services and training. AAII has expanded the mission of Shifa-al-Asqam to include sharing donated medicine, medical supplies and medical equipment locally (15%), regionally (30%), nationally (50%) and internationally (5%) and has established the Shifa-al-Asqam Satellite Clinic in Kossi-Atlanta. AAII health initiatives that continue to have a significant impact on the quality of life of women and children include leadership in educating the population and the government of Senegal about the human rights and health violations of Female Genital Mutilation (FGM) and the campaign to educate the population about the benefits of breast feeding. As a result of AAII’s pro-active leadership around these important issues, the Senegalese government passed legislation that outlaws FGM, and the United Nations Children’s Fund (UNICEF) recognized Shifa-al-Asqam as a “Baby Friendly Hospital”. AAII’s Shifa-al-Asqam Socio Medical Center is the first health care facility in Senegal to receive this prestigious designation in recognition of the education and psychological support it provides new mothers to breast feed and its refusal to accept the donations of manufacturers of prepared infant formula. Project Global 2000, a Child Survival Initiative to significantly reduce the morbidity and mortality of infants and children in Senegal. Milk Distribution Project for Mothers and Children (over 2 years of age). Shoe Distribution Project to reduce parasitic skin infections. Wheelchair and hand-held crutch distribution to disabled children and adults. Medicine Distribution throughout Senegal and neighboring Mauritania. Construction and staffing of Satellite Clinic in Kossi-Atlanta. 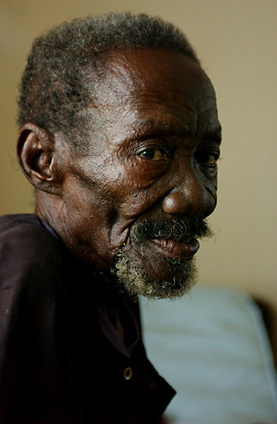 In February, 2004, in an unprecedented demonstration of cooperation between government and an NGO, the Senegalese Ministry of Health provided 50 physicians and three traditional healers to work with AAII volunteer physicians and community health workers. In one day, 4,500 people received medical care between the Shifa-al-Asqam site in Medina-Kaolack and the ad hoc clinic created in Kossi-Atlanta for the event. The Shifa-al-Asqam Socio Medical Center is a focal point for health related education, disease prevention and treatment, social services and training. The training program has especially benefited nurses, midwives and community health workers. AAII’s volunteer base has provided physicians and other health professionals from Nigeria, Ghana, the Gambia, France, Sweden, German and the United States. AAII has been selected by AmeriCares as its “Country Partner” for the distribution of HIV/AIDS medication and other pharmaceuticals throughout Senegal. AAII also partners with UNICEF, UNFPA, WHO and WORLD MEDICAL RELIEF to bring health education, medicine, health services, vaccinations, medical equipment and medical supplies to the region. AAII’s ability to successfully collaborate with international organizations, governments and international charities demonstrates its capability to utilize resources for optimum effectiveness and efficiency. AAII’s commitment to making health care accessible to residents of rural areas of Senegal is supported through its strategic partnership with US Doctors For Africa. 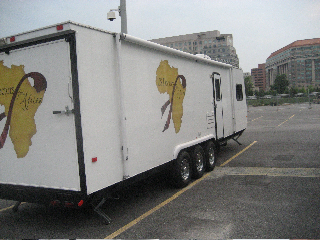 The fully equipped Mobile Clinic provided by USDFA includes a small laboratory and access to a satellite communication system. As part of its rural outreach initiative, AAII’s Shifa-Al-Asqam Socio medical Center is responsible for the management, maintenance and deployment of the first mobile health care facility in this sub-Saharan nation. In 2008, AAII entered into a strategic partnership with Children’s Chance, Inc. a U.S. based organization that brings children with special medical needs from other countries to the United States for pro bono treatment. In recognition of the the enormous need for specialty care of African children, AAII is expanding its roster of physicians, medical institutions and hosting organizations, as well as developing resources to enable it to bring African children and an accompanying parent to the U.S. for care that is not available in their home countries. AAII proposes the establishment of the (Hajja Umm Sa’datou Niass) Nutrition Center to provide nutritional services and information to pregnant and lactating women, infants and children and their caregivers, with the goal of significantly reducing low birth weight, failure to thrive, micronutrient malnutrition, susceptibility to disease and maternal/infant/children under 5 mortality. Promote child growth from birth to 36 months. Promote physical and mental development by reducing micronutrient deficiencies in women and children. Integrate nutritional interventions, proper feeding and infant care, e.g., delaying the first bath, keeping the baby warm but not overheated and the importance of breastfeeding within the first hour after birth. Encourage exclusive breastfeeding in the first six months of life; discourage the introduction of watery, cereal based foods that reduce frequency of breastfeeding and contribute to a higher rate of malnutrition. Promote prolonged breastfeeding with appropriate supplements after the first six months of life as a means to prevent diarrhea. Promote healthy weaning practices and discourage early introduction of solid foods. Promote hygienic practices to protect infants from malnutrition, growth retardation, infection and high mortality. Actively work to stop unethical promotion and distribution of breast milk substitutes in the region. Serve as a central clearinghouse for nutritional information. Provide nutritional assessment and necessary supplements as part of basic health services. Provide necessary nutritional support to orphans attending AAII schools. Train community health workers how to assess the nutritional status of children seen in community health centers throughout the region. Provide fortification of staple foods and essential vitamins and minerals to sustain healthy mental and physical development.